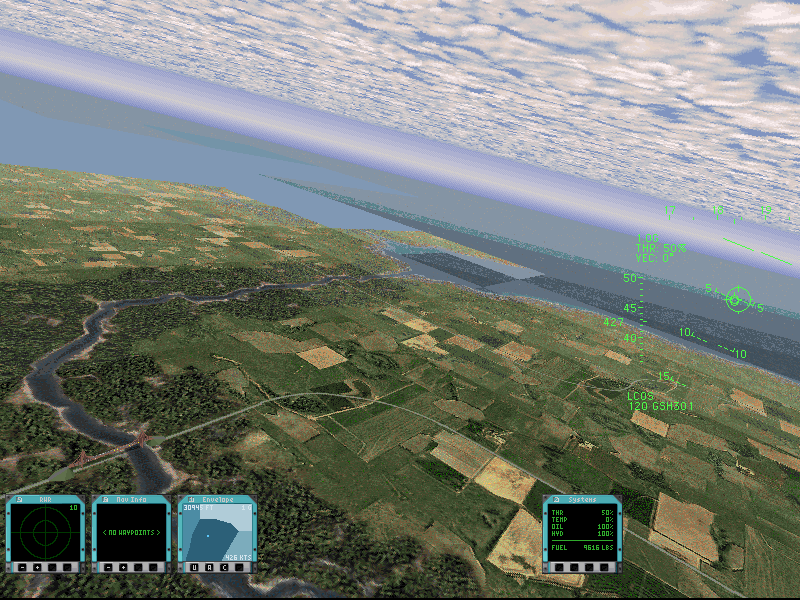 This site is by John K. "Zephyr" Peterson for the PC flight simulation Fighters Anthology. 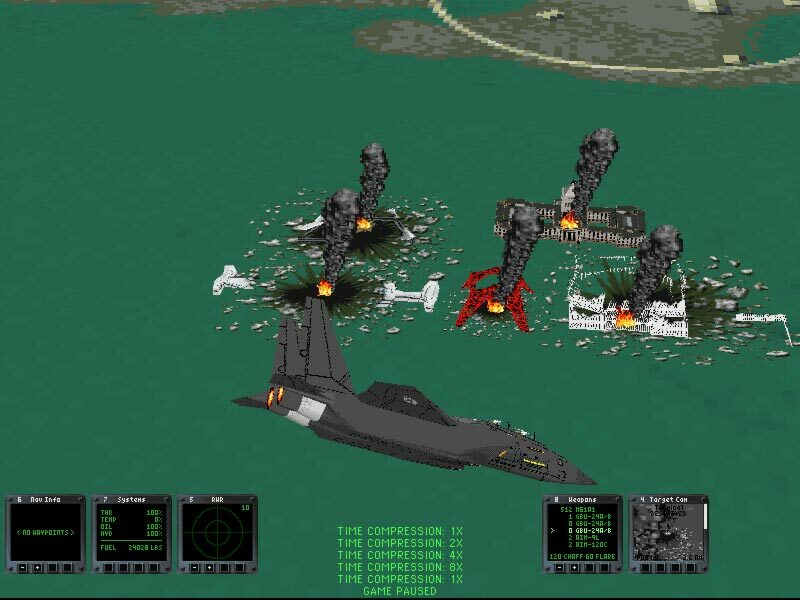 Fighters Anthology was produced by Jane's Combat Simulations, when it was a division of Electronic Arts. All custom libraries are made using the Duosoft Fighters Anthology Toolkit. usnraptor's remake of the Ukraine Campaign is now available on the Missions page. This set of 50 missions replaces the default Ukraine campaign in the Fighters Anthology campaign menu. The missions have been revised, and are focused on F/A-18, F-14, and A-6 operations. The year of the campaign is changed to 1994 to correspond with the maiden voyage of the USS George Washington. usnraptor's Aegean Campaign is now available on the Missions page. This is a campaign of 40 missions involving fighting between Greece and Turkey in 1997, and is flown in the Fighters Anthology campaign menu. Custom files for aircraft, weapons, ground objects, etc. are included. The modified version of JKPFA is available on the Libraries page. The library includes modifications made for Mladen Krsmanovic as well as a beta Chinese J-20 steath fighter with shape made using the FASHion shape editor. The site is now at a new location: http://jkpeterson.net/fa. Additionally the USNF Ukraine Campaign Video Fix is available on the Libraries page. The videos can cause Fighters Anthology to crash in Windows 7 and 8. The library skips the videos, allowing the campaign to be played. 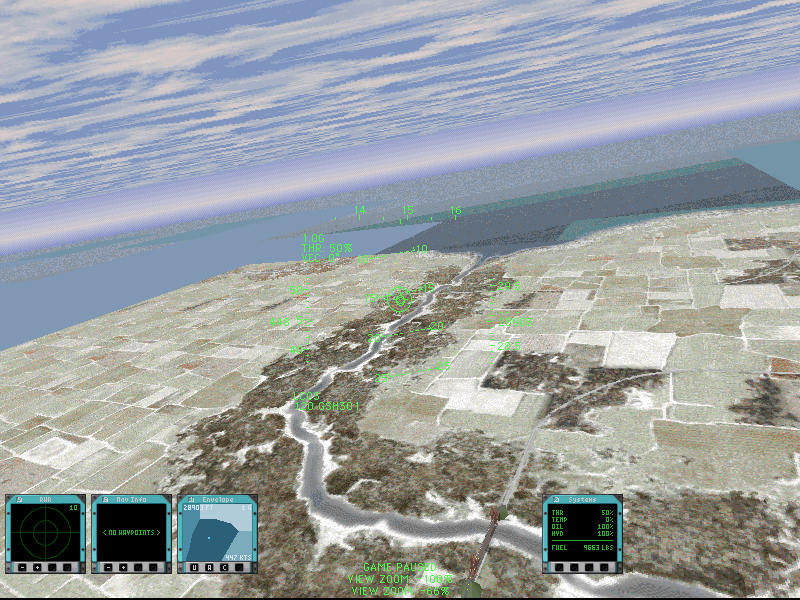 An updated version of usnraptor's Israel Campaign 2001 is now available on the Missions page. The update adds missing items and updates a mission and two briefing files. usnraptor has released version 2.0 of the Israel Campaign 2001. The file is available on the Missions page. The campaign is upgraded with improvements and adjustments to the aircraft. usnraptor's Taiwan Campaign 2014 is available on the Missions page. The campaign follows the Republic of China's fight for survival against the People's Republic of China (PRC). 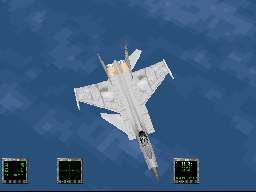 The campaign is played through the Fighters Anthology campaign menu and includes required custom aircraft and other object files in the zip file. Also, the website issue with Internet Explorer downloads not completing has been resolved. Thank you to the site host, Joshua Redwood, for following up with the issue. An updated version of Gerwin's Jane's Fighters Anthology + US Navy Fighters Music is available on the Files page. The files have been converted to standard midi format, playable with Windows Media Player, Winamp, etc. 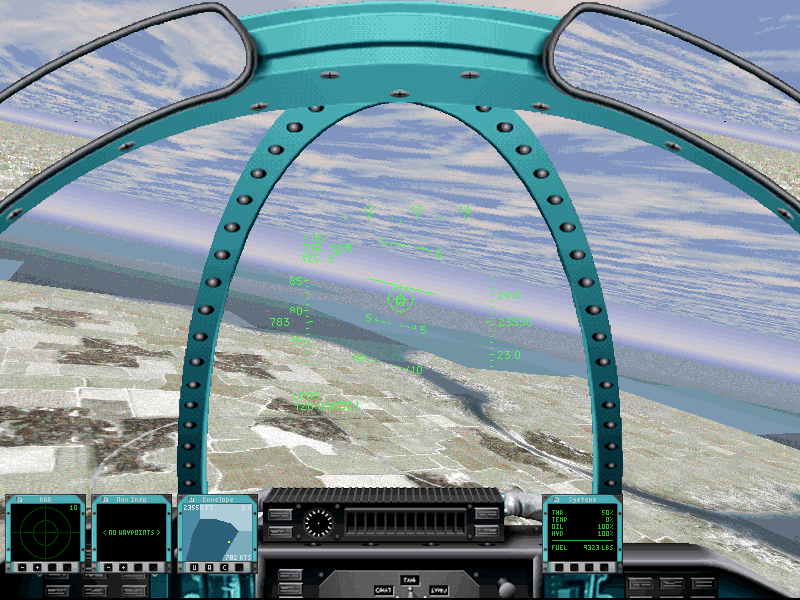 Some tracks from US Navy Fighters '97 have also been added. The forum has been restored with a database backup from July 2012. Please let me know if you encounter any isues with it. I'm working on getting a new forum set up for the site. If all goes well, it will have the database with all members and activity from the old forum restored, dating up until late summer 2012. A library by Gerwin which replaces most Fighters Anthology in flight music with music from US Navy Fighters Gold is now available from the Libraries page. The library also works with ATF (for DOS) and ATF Gold (for Windows). A batch file player and XMI midi music collection to play Fighters Anthology and USNF midi music by Gerwin is now available from the Files page. The zip file includes a batch file (Play.bat) allowing the user to select a theme or type of music for continous playback. I have uploaded a small batch file I recieved from Kewell 77th. It ends the Windows Explorer task before launching Fighters Anthology, and then allows the task to be restarted easily when FA is exited. This can solve graphics problems and other issues when using Windows 7. To ensure the file launches Fighters Anthology, right click on the batch file, choose "Edit" (alternatively, open the file in a text editor such as Notepad or Wordpad), and check the directory path the file points to when it launches FA. It is on the Files page. A custom library is now available which replaces the default Fighters Anthology pilot, wingmen, control tower, etc. voice sounds with sound files form Jane's F/A-18. The file is on the Libraries page. Beta 0.5 of Hawke's Fighters Anthology Shape Editor, named FASHion, is now available from the Files page. Please see the forum and the readme file included in the zip for further information. A new mission by Tank_77th is available from the Missions page. 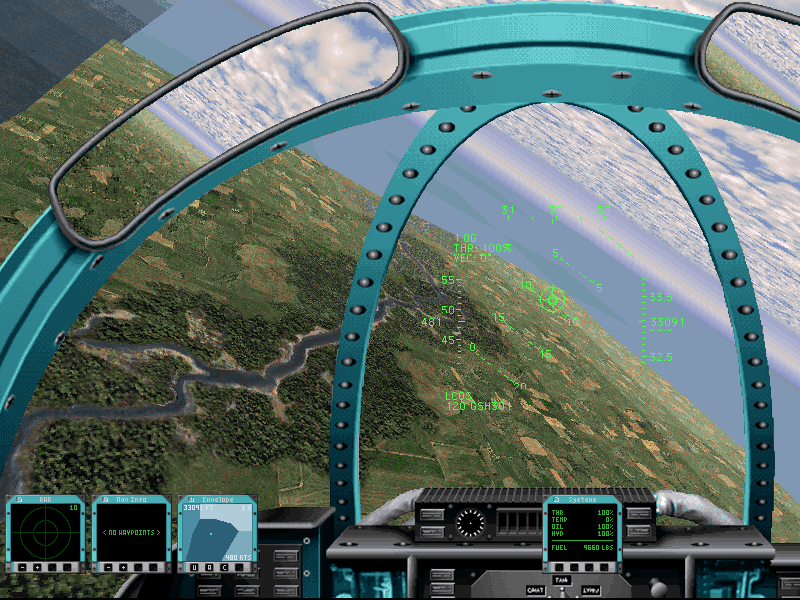 The player leads a flight of Su-25s on a CAS mission supporting Russian armor defending Belorussia from a NATO invasion, over a dynamic battlefield. A new version of my lib is available from the Libraries page. A new patch made for Fighters Anthology by Gerwin Broers has been added to the Files page. Called Fighters Anthology Compact, the patch is for use with the No-CD Patch, and modifies FA_2.LIB so campaigns work with just an empty FA_4C.LIB file, instead of full size FA_4C.LIB and FA_7.LIB. This enables a compact but fully functional FA installation, at around 60 MB. A new beta version of my lib is available from the Libraries page. There have been a number of changes, improvements, graphical additions, etc. 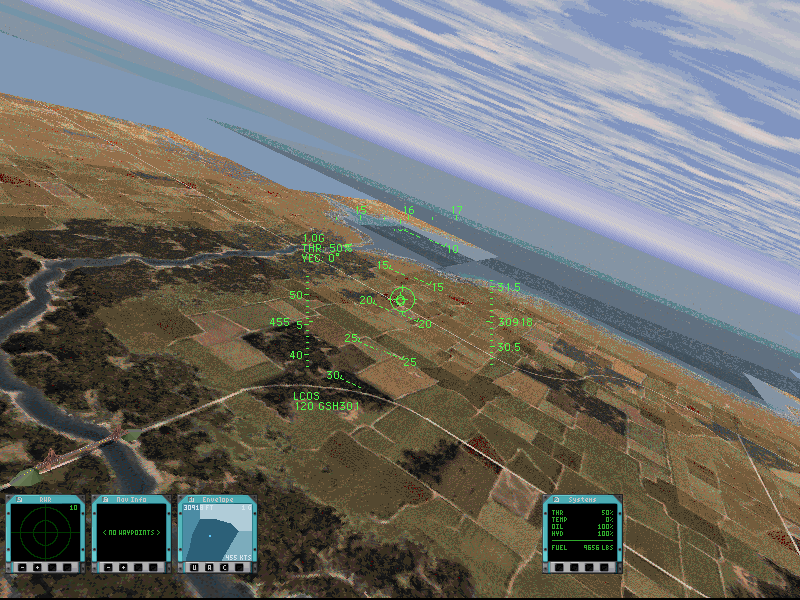 I have created a Windows XP and Vista compatible version of Cold War Fighter's Mid West/Great Plains USA map. The original map was created by MiGSlayer and Wedge, and I have simply rebuilt it, replacing a few custom parked aircraft scenery objects with default Fighters Anthology fuel trucks. Screenshot 1, 2, 3. The map is available on the new Maps and Music page. I seperated custom Fighters Anthology maps and music libraries from the rest of the libraries so the pages load faster. From the maker of the Ukraine Maps comes a new France map. 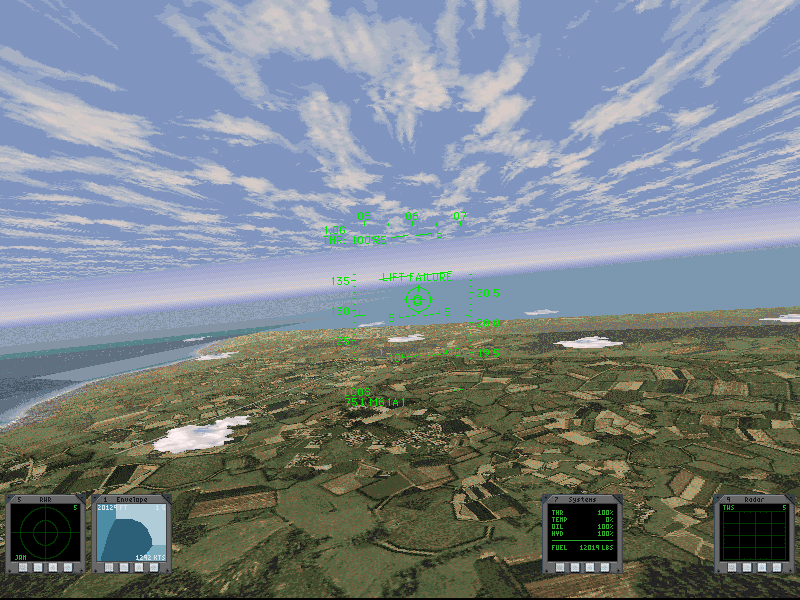 The map has been retextured with textures originally created by Gaz for European Air War. Screenshot 1, 2, 3, 4. It is available in the maps section of the Libraries page new Maps and Music page. Additionally, the same author has sent an audio file to replace Valk001.11k. It is the sound of a pilot breathing into a flight mask, and can be activated in flight by pressing CTRL-V. It is available on the Libraries page. 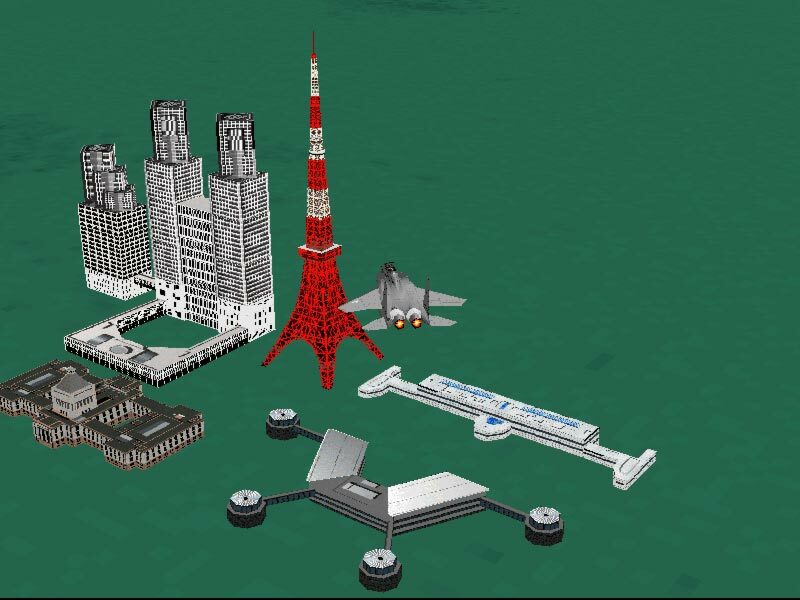 Finally, the USNF Final Mission Japanese buildings and destroyed shapes originally provided by JJ are available on the Libraries page. They had been linked to from the USNF files page, but the FA Libraries page is a more conspicuous place. 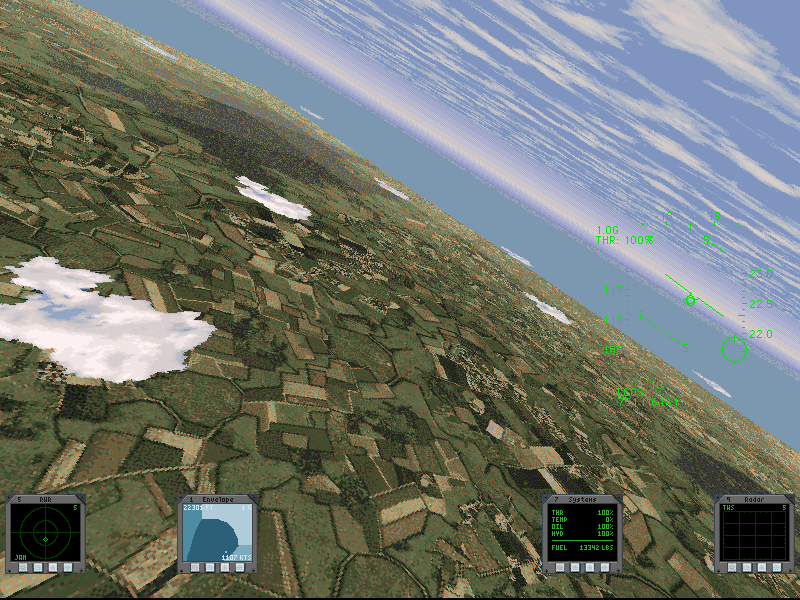 Screenshot 1, 2. Three new Ukraine maps have been added to the Fighters Anthology Maps section of the libraries page. They are at the bottom of the alphabetical ordered list. The maps use Summer, Fall, and Winter textures originally made by Max188 for European Air War. The maps also use the MM file made by Centurian for object locations, such as Chernobyl. Summer screenshot 1, 2, Fall screenshot, Winter Screenshot 1, 2. Mission sets by Shawn M have been added to the USNF 97 Files page. These can be easily modified to be Fighters Anthology compatible as well. The sets are a Ukraine Campaign, and a set entitled "Ho's Own II", in which the player flies as the Peoples' Air Force of Vietnam. Also, I have added Windows XP and Vista compatible Israel and US Southwest maps to the Fighters Anthology Maps section. These maps were originally created by MiGSlayer and Wedge for the Cold War Fighters library. I have made the maps to be compatible with default Fighters Anthology, or any custom library. The Links page has been updated. All broken links have been removed, several have been changed, and the 77th VTFS Gamblers squadron has been added. I got tired of sitting on the beta version of JKPFA that I have been working on, now for nearly two years since my last beta release. You can download the latest build from here. Please note that it is very much a work in progress. Let me know if you find any problems, or want any additions. I will hopefully be uploading more regular updates. Additionally, I have a few missions sent from Pappy that I will upload soon. The Fighters Anthology Resource Center is now accessable with the URL www.fightersanthology.net. This has been provided by Joshua Redwood, who also provides hosting for this site. Thank you Joshua for providing the URL. The FA player who provided the files for US Navy Fighters, JJ, has released a new library called Fighters Anthology Advanced. 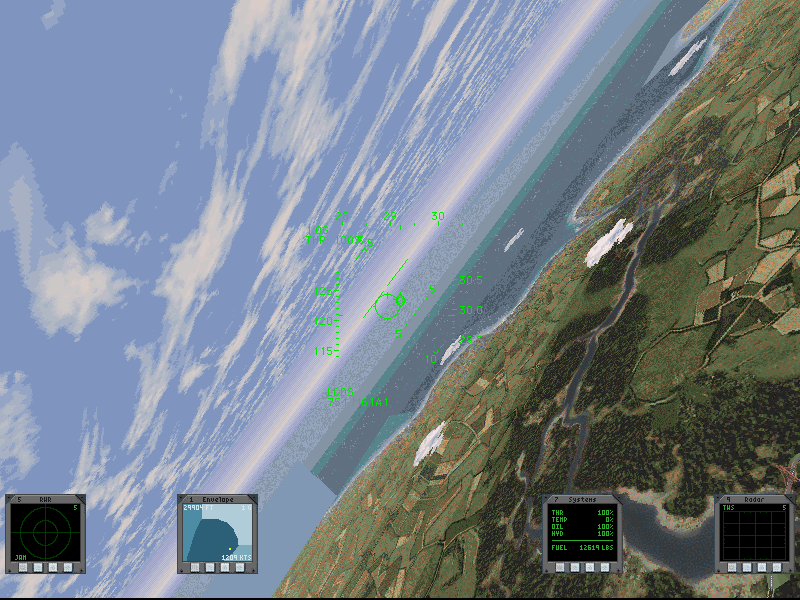 It is available on the Libraries page and updates aircraft and ships in the game, adds new graphics, and extensively modifies in flight sounds, including radio communications. Click here to view the main page news archive. 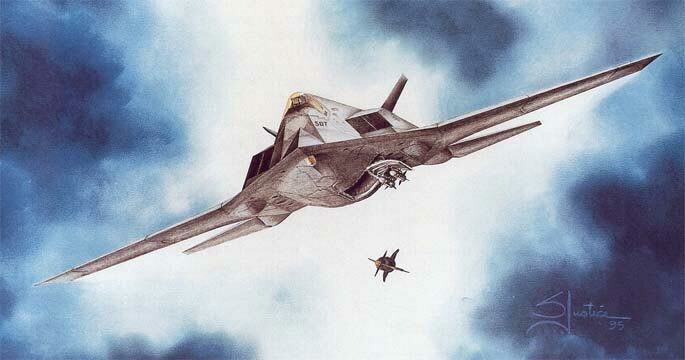 This is a picture of the naval F-117 concept.